Join in the fun of the 57th annual Oyster Easter April 20th from 1-5 p.m. at the fabulous Green Door Gourmet. Expect the traditional Oyster Easter flourishes of abundant beer by Blackstone Brewery, wine by Prophecy Wines and Bloody Mary bar by Walker Feed Co, spirits from Pickers Vodka, and an updated Cajun feast by Puckett's Boat House with Jambalaya, Dirty Rice, Mac and Cheese, Fish Tacos and all the oysters you can eat (raw, fried or shooters). And get ready for lively contests and special awards. Join the Inaugural Oyster Society with a $100 ticket purchase that includes VIP access to Oyster Easter. Early bird tickets are $65 for individual or $120 for couple and are on sale until March 29. This is a 21 and up event. Tickets after that are $75 before the event or $90 at the door. 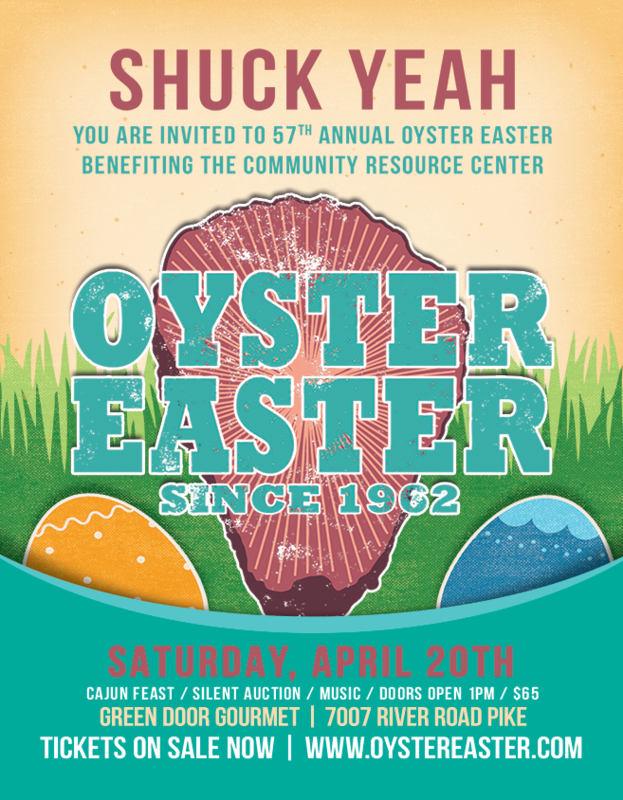 For more information on Oyster Easter or to buy tickets, visit www.oystereaster.com. For vendor or sponsorship opportunities, e-mail Jay Cleveland at jay@crcnashville.org.